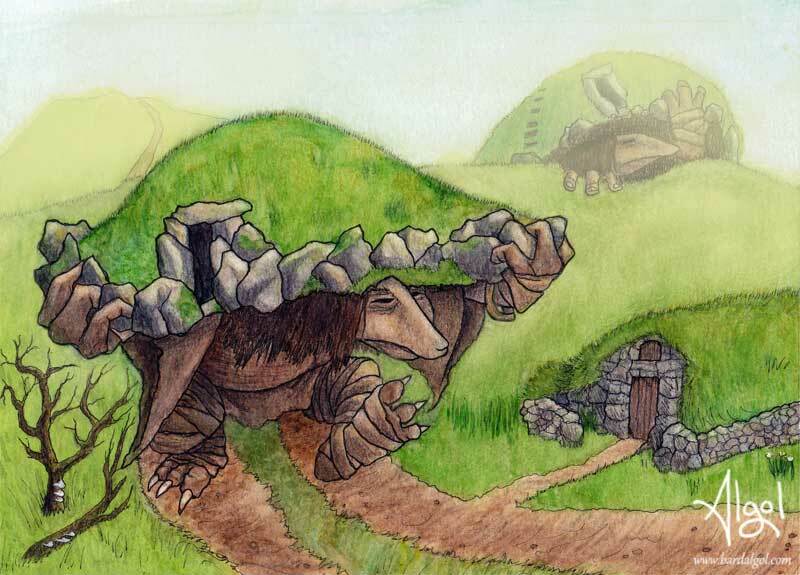 This image shows a couple trolls who live underneath neolithic burial mounds that are called variously barrows, cairns, or tumuli. These trolls have decided it’s time to uproot their mounds and move to a new location. Maybe the people who live in that turf house throw wild parties every night or have a pesky dog that barks all the time… Nobody likes that – not even trolls.